A Buick is one of the most famous automobiles on the roads of NYC and America as a whole today. They are well known for their generous size, their powerful engines, and their luxurious interiors. 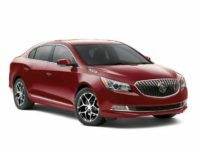 NY Car Specials is delighted to report that we have the best new Buick leasing specials on the road today, and we are pleased to say that we can get you the best leasing terms possible. New York is a state tailor-made for Buicks, and we have the variety of models that you want and need to get you back on the roads of NYC in a dream car. 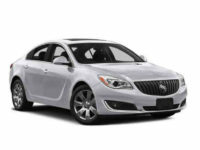 We have the entire line available for our new Buick specials, including a sedan like the all-new Buick Regal. The 2017 model is the finest one yet produced, with a powerful turbocharged engine that gets surprisingly advantageous gas mileage. It will have you and your entire family riding in perfect style and absolute comfort from bumper to bumper. 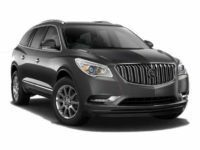 We also have the brand new absolute top of the line SUV – the brand new Buick Enclave. One of the most luxurious markets on the streets of New York today, the Enclave is a wonderful addition to any NYC garage. We love to provide them to our customers in every single range of color and options package, and we would love to make you our newest customer. Give our inventory a look today, or better yet, give us a call and talk to one of our experienced customer service professionals. We know that a leasing agreement can seem a bit intimidating initially. The seemingly long terms, the amount of money – it can all just seem like a lot. That is quite simply where the famous NY Car Specials difference comes in. Since we live in New York too, we love to make our NYC customers both comfortable and satisfied. 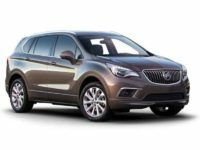 We can provide them with the finest leasing terms you can imagine, and our line of new Buick leasing specials is simply no exception. From cherry red midsize sedans like the Royal up to forest green luxury SUVs like the Enclave, we have the entire line of these fine American automobiles right here in New York, ready for you to drive, and you can take a look at every model we have thanks to our wonderful inventory system that lets you view every single car on our virtual lot at any given time. 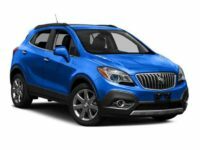 We can let you view the inventories of Buick dealers all over New York, and it lets you see the options packages that you need to succeed. A Buick is famous in the American imagination as a dream car, and we can help you make this type of dream an exact reality. 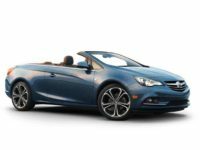 We would love to speak with you further about our new Buick leasing specials, so call us today at 929-239-3010 and let us see what we can do to help you get behind the wheel of a beautiful Buick.